I decided to experiment with the Shepard Fairey style of illustration he used on the popular Obama poster. 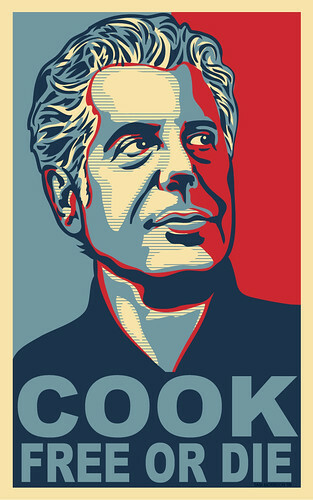 So being a fan of the Travel Channel's "Anthony Bourdain: No Reservations" I thought he'd make a good subject. Stefan - Feel free to use the image on your blog.